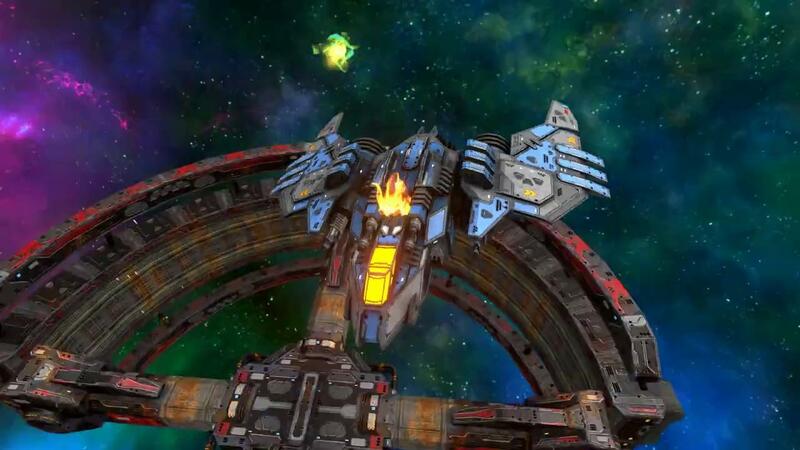 While it's incredibly early days for Allspace, this free to play first-person space combat game could be interesting when it's a little less bare. The developer claims it supports up to 100 players at a time, although with an all-time peak of 12 people I really doubt they've been able to thoroughly test that claim so far. As a huge fan of space combat games, I'm quite keen to see what the developer does with Allspace. As it stands though, it's not just enough to be free, it has to hook players in somehow and currently it doesn't really do that at all. Find it on Steam, free with no micro-transactions. Maybe we should try to get them to 100. Something to do during a livestream? The cockpit takes up half the screen. And with the targeting just above the top of it, it seems that you can loose sight of the enemy frequently. It runs beautifully for me, and with the new update I can finally change FOV. Had to lower from 90 all the way down to 50 to get a decent experience in ultrawide, can't stand the extreme fisheye I have with default FOV. Slight problem though; decreasing FOV appears to move your viewpoint closer to the nose of the ship, and the cockpit gets cut off so the scoreboard is almost out of sight now. dpanter Had to lower from 90 all the way down to 50 to get a decent experience in ultrawide, can't stand the extreme fisheye I have with default FOV. Thanks for the tip. I also have an ultra-wide monitor, and sometimes I find it a drag. Going to check it out tonight. In about 4 hours. See you in space, Penguins.